Machine running a little slow? Or, perhaps, not at all? 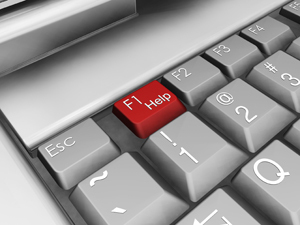 Over time, without regular maintenance and servicing computers can become for vulnerable to a range of issues which can effect their performance. This may come in the form of software failures, malware activity such as viruses, trojans and spyware and damaged or broken hardware through general wear and tear which occurs over a PCs lifetime. Repairing or upgrading your machine can be cheaper and less troublesome than you think, and with Imaginarium IT, you can be sure we'll get your machine back in working order in no time. We only use quality parts and proven methods to get your machine performing at its peak again. Why choose Imaginarium IT to upgrade or repair your machine? If you live between Penrith and Bathurst, we will pick your machine up, and return it to you. 02We use quality parts that will often exceed the quality and durability of the original. We can analyse your machine and advise you on the most cost-effective repair or upgrade path. 04We will always check in with you prior to any extensive repairs being carried out on your machine and advise you on the cost effectiveness of the repair. This means no nasty surprises on your bill. 05We always make an analysis of your machine before and after your repairs and upgrades so you can see the differences for yourself!